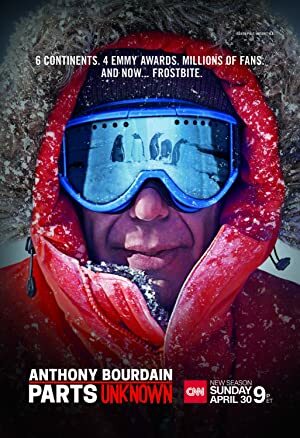 Anthony Bourdain: Parts Unknown – Season 1-8 (2016) – What's New on Netflix Canada Today! Anthony Bourdain had no reservations about a move to CNN. Shortly after concluding an eight-season stint at the helm of his popular Travel Channel series, the equally popular Emmy-winning host came to the news network searching for “Parts Unknown.” In the hourlong weekend series — similar in premise to Travel’s “Anthony Bourdain: No Reservations (2005)” — Bourdain explores the world to, he says, “eat and drink with people without fear and prejudice … they open up to you in ways that somebody visiting who is driven by a story may not get.” Enticed by the opportunity to experience cultures rarely visited by American TV, such as in the Congo, Libya and Myanmar, the chef and best-selling author also takes viewers to Colombia, Peru, Morocco and, closer to home, Koreatown in Los Angeles.